Announcement: Opening of new south platform - Sound Transit's Tacoma Dome Station! MLA is pleased to report the opening of the new south platform at Sound Transit Tacoma Dome Station. MLA's senior engineer, Serena Baxter, designed the 800 foot long platform, retaining walls, canopies, windscreens and kiosk framing as part of our portion of work for the Tacoma Trestle project. MLA Engineering has commenced the design phase of the St. Louis Aquarium at Union Station, the next phase of the development at the National Historic Landmark train station in downtown St. Louis. The 65,000 sf Aquarium will be located within the former mall area of St. Louis Union Station. 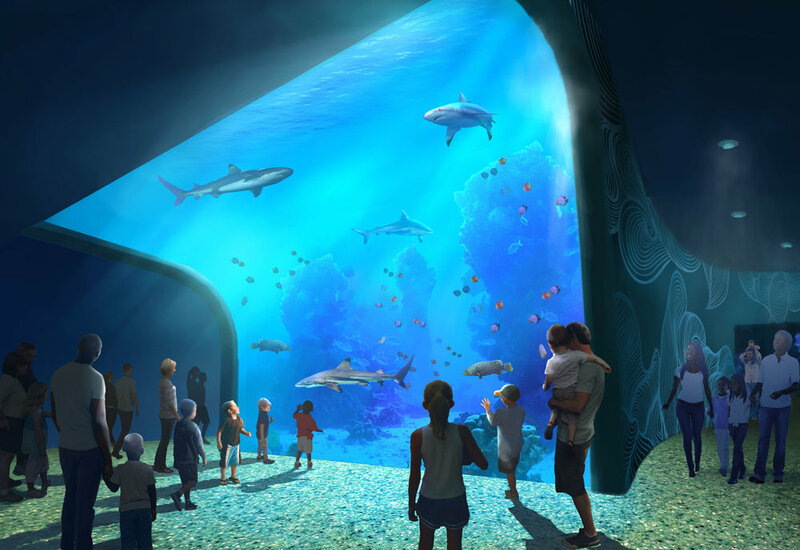 The $45m attraction will feature one-of-a-kind exhibits including a shark tank housing one of the largest collections of sharks in the mid-west. The exhibits contain 1 million gallons of water, home to large number of aquatic species from the rivers and oceans of the world. MLA is excited to continue its partnership with PGAV Destinations on this world-class facility and contribute to the historic preservation of one of St. Louis’ most iconic features. MLA Engineering hired Jeff Thompson as a Senior Engineer and Linda Ji as a Design Engineer. Jeff has over 15 years of structural design experience with firms in Chicago and the Pacific Northwest. Jeff’s experience includes state/municipal, institutional and privately developed projects. These projects include airport expansions, maintenance facilities, University lecture/dining/residence halls, public school additions and new facilities, mixed use residential buildings, hospital renovation projects and custom residence design. Linda joins MLA Engineering from Vancouver, Canada, where she has over 4 years of engineering experience in structural design in the industrial and defense industry. Linda’s experience includes structural designs for maintenance facilities, building renovations, power substations, and marine infrastructure. MLA is a Seattle-based structural engineering firm. For more information about our team visit the about us page. The African Adventure exhibit at Fresno Chaffee Zoo in California won a 2016 award for best landscape/urban development project from Engineering News-Record. The exhibit was designed by MIG|Portico of Seattle (formerly The Portico Group) and built by Harris Construction Co. of Fresno, MIG said in a press release. There were over 700 submissions for the awards. ENR said they represent the pinnacle of U.S. design and construction between May 2015 and June 2016. The 13-acre exhibit was completed in October 2015. MIG|Portico said the team had to overcome logistical challenges in the 100-year-old public park, create an authentic environment with natural components, and accommodate animals, visitors and staff. The $55.7 million habitat evokes famous East African parks, such as Serengeti and Tarangire, MIG|Portico said. It contains 100 species, including elephants, giraffes, rhinoceroses, lions, meerkats, zebras and cheetahs. ADA-compliant trails from the main Kopje Lodge and Mahali Gathering Place offer 360-degree views of the savanna. There's also a gift shop, classroom, restrooms, kitchen, restaurant and giraffe feeding platform. A total of 374 of the 413 trees in the park (some of which date to 1903) were saved, thanks to “tree-protection zones” where vehicles and equipment were prohibited. The team includes MLA Engineering, structural; Alan Mok Engineering, civil; LP Consulting Engineers, mechanical, electrical and plumbing; T.A. Maranda Consulting, life support consultant; and Zoological Lighting Services, lighting consultant.